hd00:16Close up of pretty young woman eye. hd00:13Human eye extreme close up macro. Professional color correction. 4k00:13Close-up half-portrait of beautiful young muslim woman in hijab with make-up watching into camera on black background. hd00:20Slow motion footage. 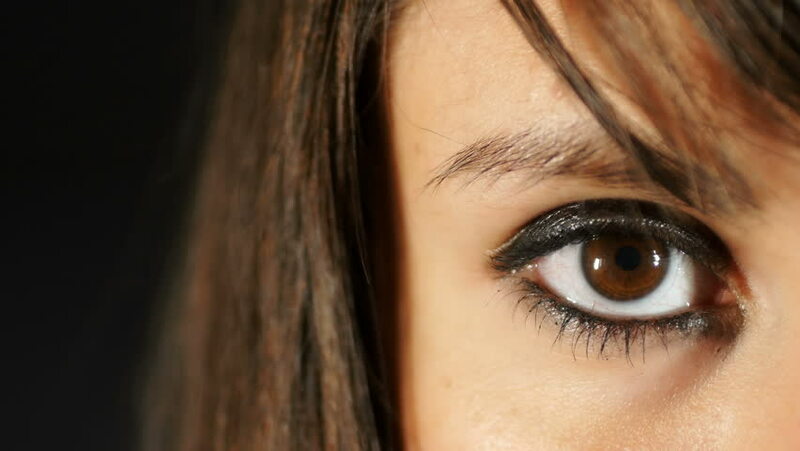 Macro close up footage of eye and cheek of a young brunette woman against dark background.